Eurasian Theatre. 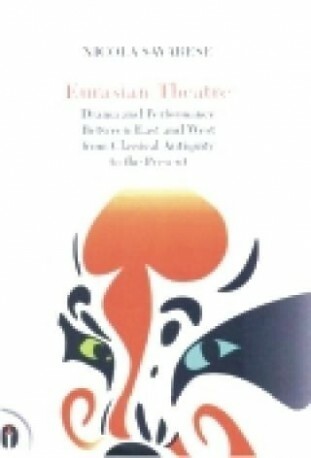 Drama and Performance Between East and West from Classical Antiquity to the .. The distance that separate Eats from West – the two extremes of the Eurasian continent – are enermous. Yet, since ancient times, the people of Europe and Asia have tried to overcome this remoteness through a network of trade routes known as the Silk Road. The great migrations, the continuous military conquests and the paths relentlessly opened up by merchants have been at the origin of ideological, technical and artistic exchanges, resulting in a fusion of cultures. Among the ceaseless travellers on the routes of the Silk Road, along with soldiers, merchants, messengers, and pilgrims, we find those who earned their living as jugglers, acrobats, musicians, actors and dancers. They were people who brought with them, rooted in their bodies, their own techniques and histories. Through these performers, the ‘fabulous and mysterious Orient’ has exerted an ongoing influence on te art of the theatre in Europe and America. In the same way, especially in modern times, actors and dancers from India, China, Japan and other Asian countries have drawn inspiration from Western dramatic genres for a renewal of their ancient traditions. A long history of travelling actors moving between East and West has slowly taken shape, and lies at the foundation of our contemporary, professional perfomative arts. This updated and revised edition of Teatro e spettacolo fra Oriente e Occiente (first published in 1992), traces this history from classical antiquity to the present. The book constitutes the first complete in-depth historiographic inquiry into the subject.